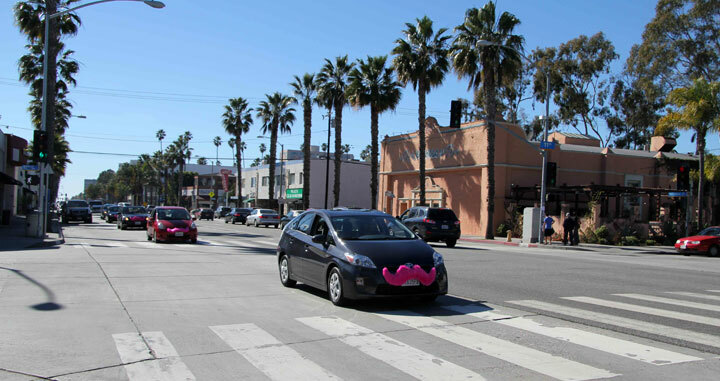 The top three taxi ride-sharing companies have been sent cease-and-desist letters by the LA City Department of Transportation – Uber, Lyft and Sidecar. These companies provide apps for smartphones that can be used to book non-public taxis or ride-share on the go. Now, the city’s department of transportation warned company officials and their drivers that operating an automobile-for-hire without a permit will not be tolerated. “Due to the fact that your company has no permits or license to transport passengers for hire, in the interest of public safety, Sidecar, including all of its agents and contractors, is hereby directed to cease and desist from picking up passengers within the City of Los Angeles,” wrote Thomas M. Drischler, taxicab administrator for the L.A. Department of Transportation, in a letter addressed to Sidecar CEO Sunil Paul. (a) No person or corporation shall drive, operate or use, whether as owner, lessor, lessee or otherwise, any of the vehicles defined in Section 71.00 [which includes “automobile-for-hire”] to pick up or attempt to pick up passengers within the limits of the City of Los Angeles, or allow or permit to be operated, driven, or used, whether as owner, lessor, lessee, or otherwise, any of the vehicles defined in Section 71.00 to pick up or attempt to pick up passengers within the limits of the City of Los Angeles unless a written vehicle permit for the operation of such specifically defined vehicles has been obtained from the Board; provided, however, that no vehicle permit shall be required for the operation of any vehicle under and in accordance with the terms and conditions of a franchise granted by the City of Los Angeles. Los Angeles taxis are not cheap compared to the ones in New York, Chicago or even San Francisco; and they have recently installed the credit card readers for accepting payments, before which customers were required to make cash payments. Share your story or feedback on this issue in comments.